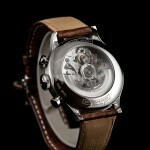 Watches, just like practically every other branch of luxury industry, are subject of changing trends. 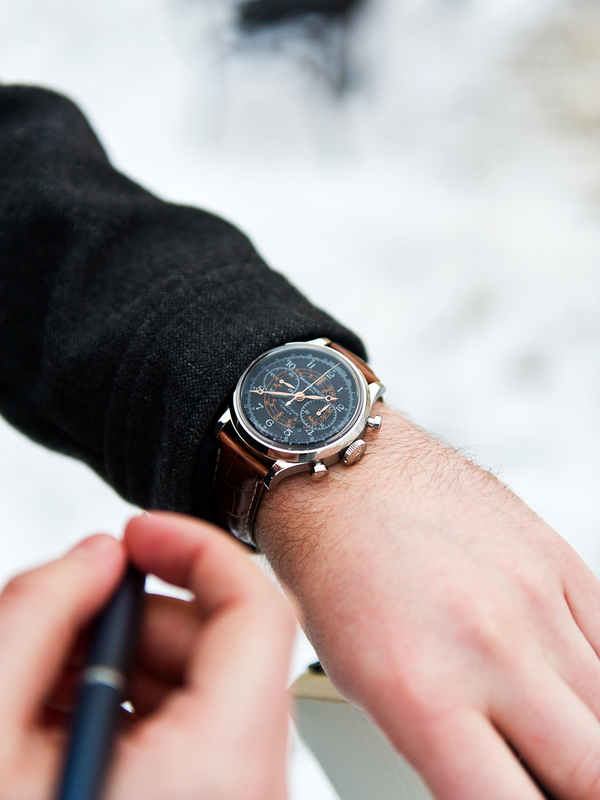 They might not be as rapid and frequent as in fashion, but still they do appear, to shape what ‘s coming from the watch creators of today. In recent years we had some prevalent trends, such as the all-black watch, the over-sized-mania that caused the case to grow to ridiculous sizes, or the colour frenzy with blue being particularly fashionable lately. For those true die hard horology aficionados the “back-to-vintage” trend is however the most welcome one – after all you most likely know that saying that “vintage is classic, and classic is timeless”. 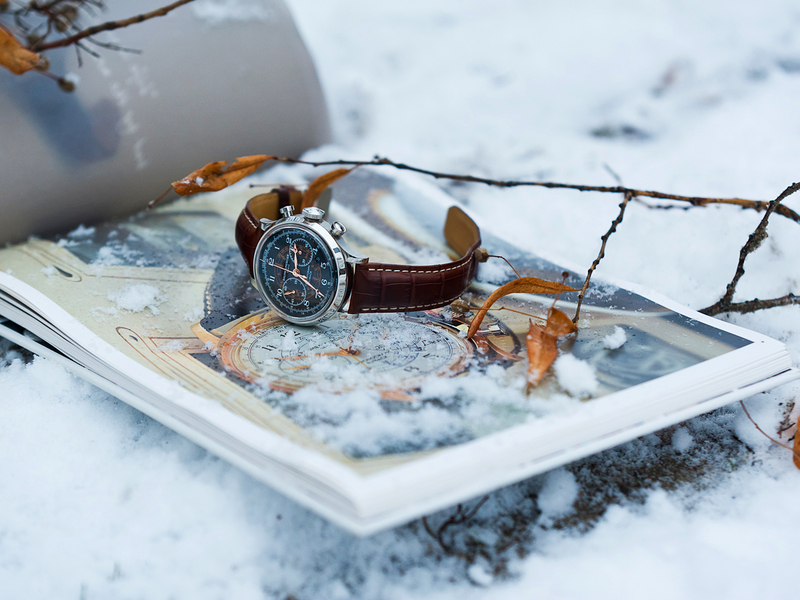 Going vintage is the way Baume & Mercier watchmakers from Geneva decided to follow, when the brand was revived 3 years ago, under the helm of Richemont group and supervision of Mr. George Kern – group’s all-star manager and long time CEO of IWC Schaffhausen. Simple yet quite successful plan (as it turned out) was to reach to the brand’s archives and basing on the appropriate model from the past, re-design the Baume & Mercier identity and DNA. 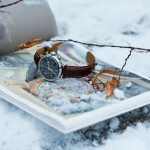 One of the children of this process is the new Baume & Mercier Capeland Flyback Chronograph, shown first at SIHH in Geneva in January 2011. 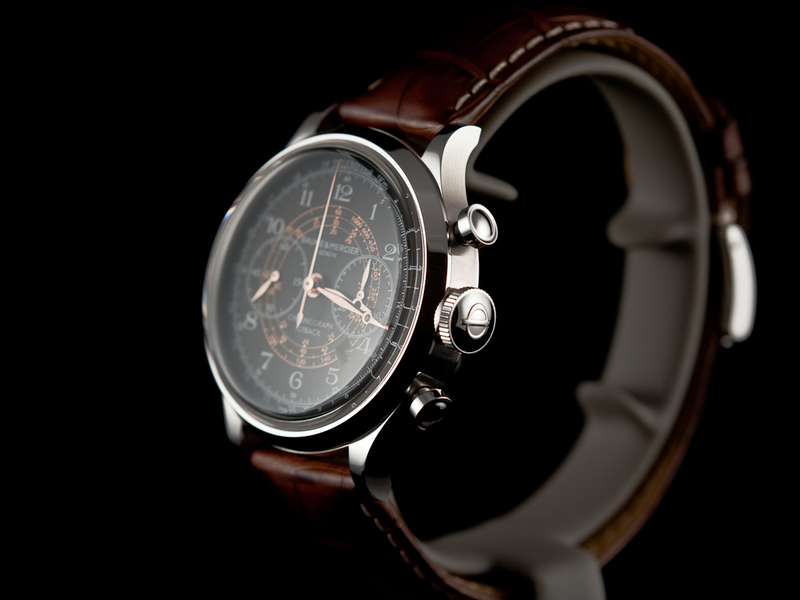 Originally, the Baume & Mercier Capeland Flyback Chronograph, inspired by the 1948 chronograph model (see above), was introduced in steel and red gold version with a silver-white dial. Later a number of other versions arrived, one of them being a steel-black-gold model I’m going to take a look at below. As mentioned already, Baume & Mercier’s idea for the revival was not to precisely re-edit the old watches, but to re-create them with some modern touches. 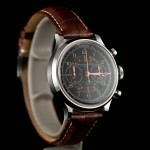 The most significant one in Capeland Flyback Chronograph is at the same time the one most questionable – the size. While the timepieces of the past (not to overuse the term “vintage”) were of quite modest dimensions, the modern Capeland measures a full 44mm – and it is a lot, by all means, especially with an added 16.5mm in thickness. 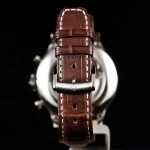 It looks big, feels big and wears big on the wrist – but this might be about the only concern for a vintage loving wearer. Other than that, the piece simply emanates “old-school”. Stainless steel case has been very nicely rounded, with smooth edges and mostly polished surface plus some satin finish on the flanks. 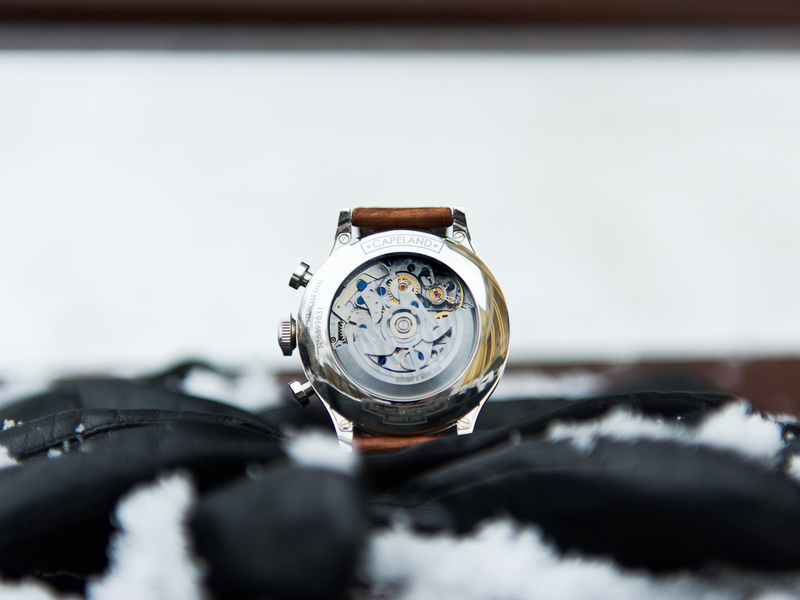 Front and back are secured by sapphire crystals – the one on the front side of the watch is very neatly domed and with an anti reflective coating. Both the pushers and large crown (with Baume & Mercier symbol – the Greek letter F) are as stylish as they should be, but the true beauty lies in the dial. 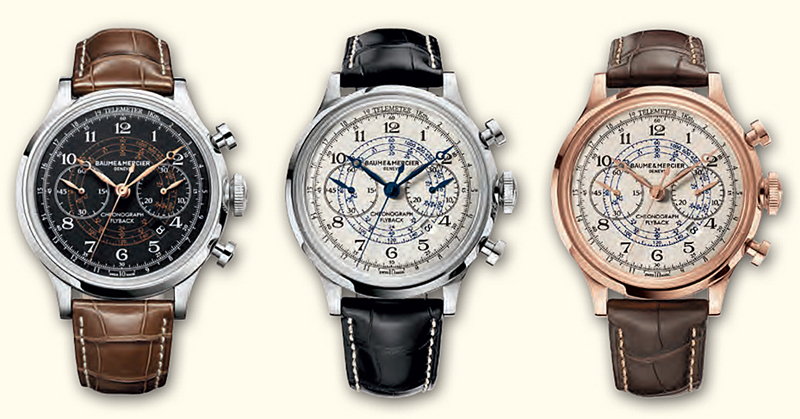 The black-white-gold composition of the Capeland Chronograph’s (Ref. 10068) face is just simply stunning. 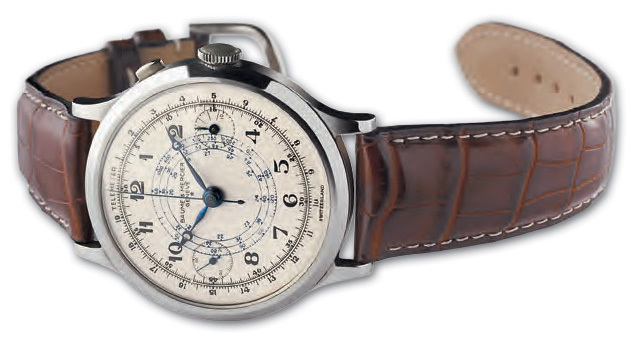 One might argue that the silver-blue dial of the first steel model, or the silver-gold combo of the golden version are more vintage looking (after all most old-school timepieces had light-colored dials) but I had this exact feel with this particular composition. 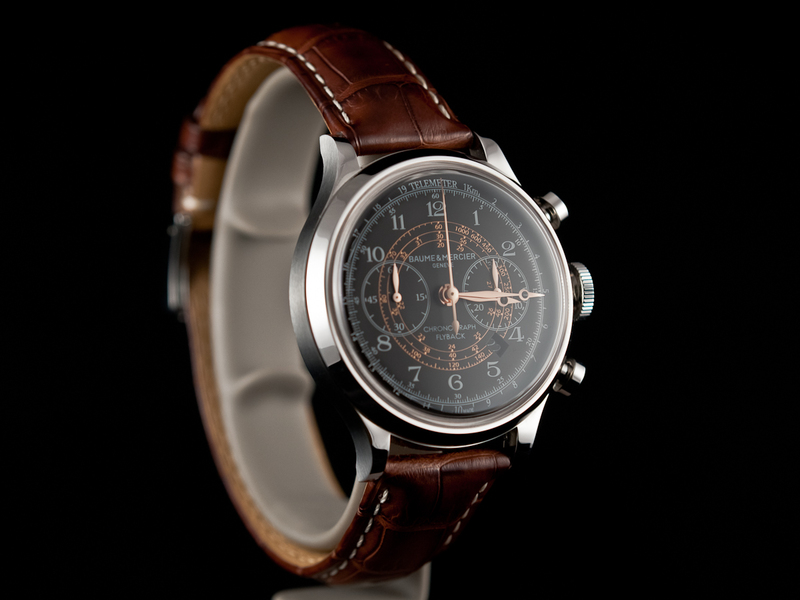 Black surface of the dial, along with printed white Arabic numerals, minute track, Telemeter scale and golden, inner, snail-like Tachymeter scale just works brilliantly – and this com from a guy, who is not so much into the vintage watches category, but knows the true beauty when he sees one. 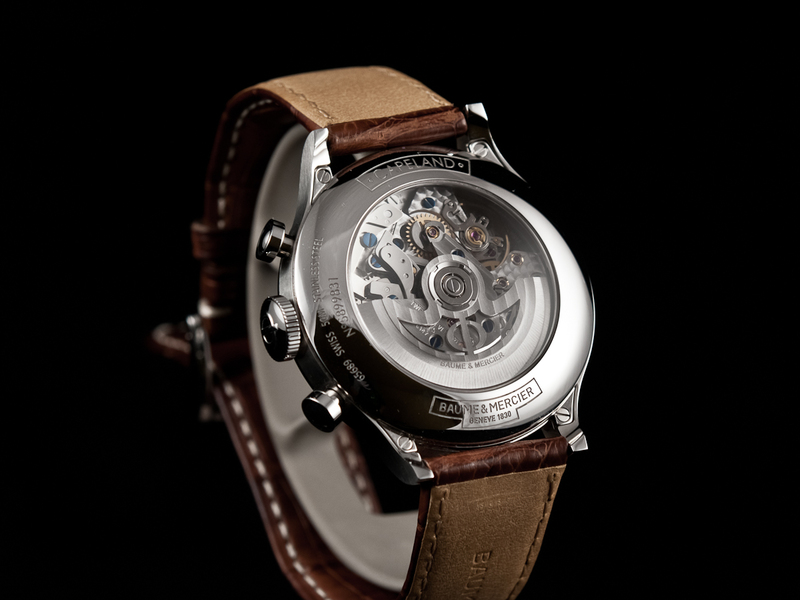 The design is complemented by a set of 4 golden Breguet-style hands and a date window, between 4 and 5 o’clock. Baume & Mercier is today not a watchmaking manufacture in its full meaning (meaning it does not make its own movements), instead it offers wide range of outsourced calibers. 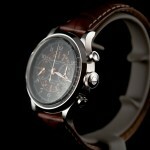 However the Capeland Flyback Chronograph uses a more refined caliber – the La Joux-Perret 8147-2 – based on the ETA ebauche. 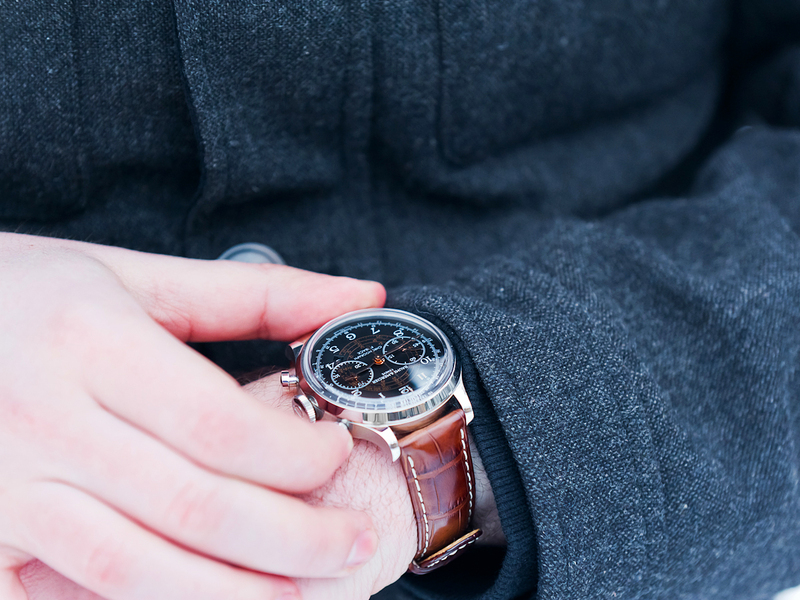 Automatically wound movement provides full 2 days of power reserve (48h), 4 Hz balance wheel, date, maximum 30 minutes measurement of the stopwatch and a flyback complication – reset and restart of the chronograph seconds hand by one push of a button. 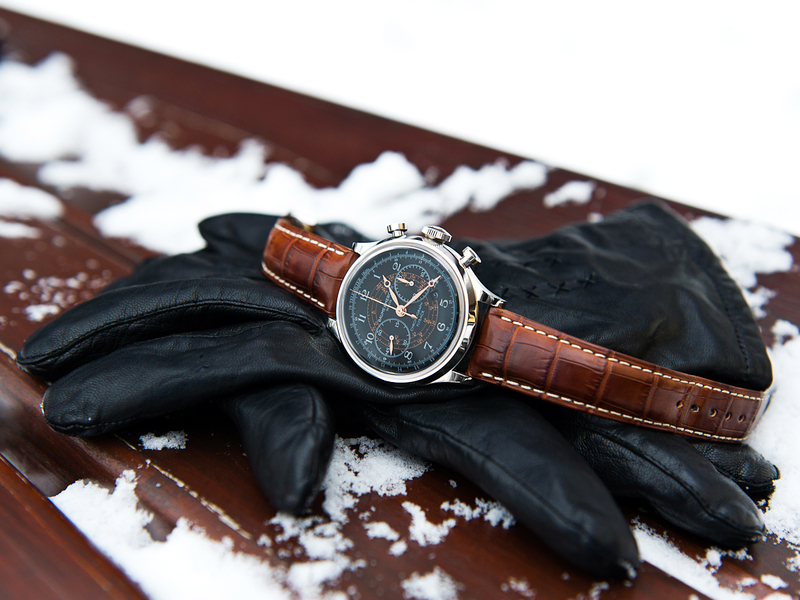 When you turn the watch upside-down, you’ll witness quite a nice set of decorations, including the Geneva stripes, heat-blued screws and some perlage on the main plate. 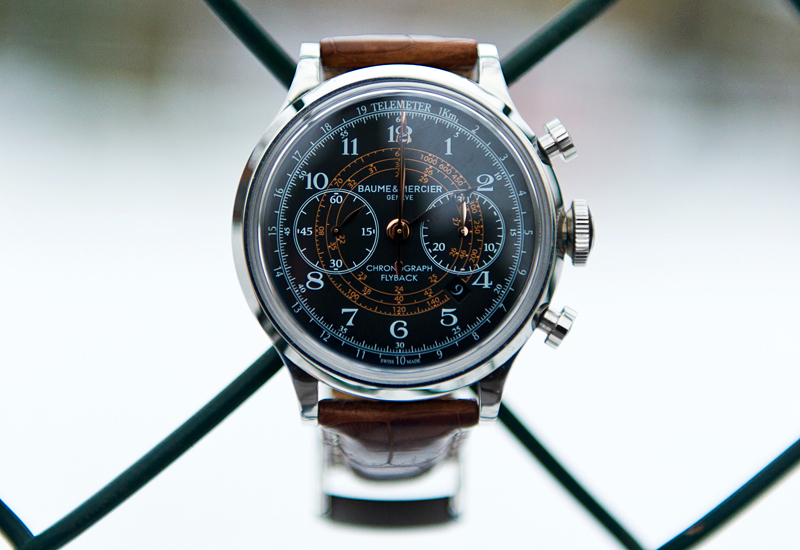 All the Capeland Chronograph pieces come on the alligator leather strap – the Ref. 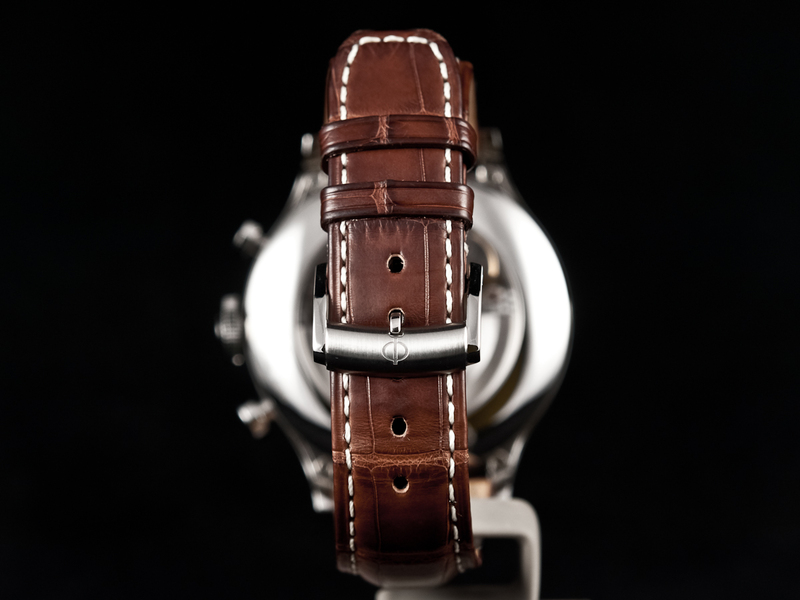 10068 on a brown one with white stitching and a steel, brushed-polished tongue buckle with Baume logo. 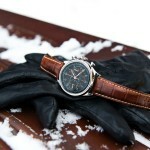 Baume & Mercier Capeland Flyback Chronograph – Conclusion & Pricing. Summarizing the time I spent with the Baume & Mercier Capeland Flyback Chronograph strapped to my wrist I have to say I truly enjoyed it. It could have been made a bit smaller (42mm would be just perfect) to make the experience both more comfortable and more appealing to wider range of collectors, but it still is a great looking watch. And the looks are key factor here. 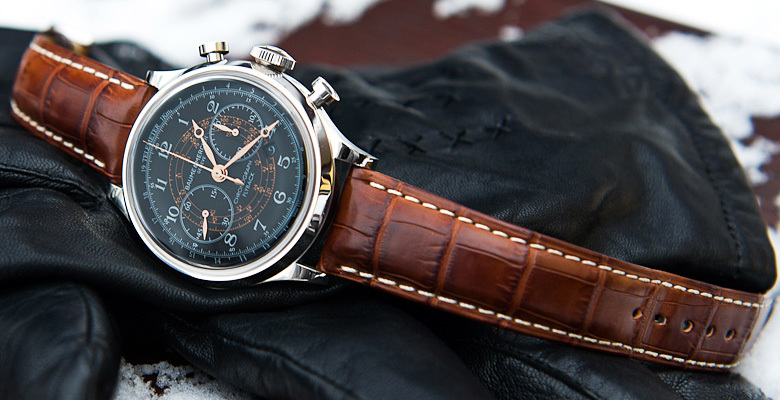 Vintage watches aficionados – and there are many out there nowadays – would presumably love it for its unmistakable identity, feel and handsomeness of an old-school classic. Everyone else would most likely appreciate the looks of it too. You could even find it perfect candidate for an upcoming Christmas wish list. The price is around 7500 USD – not low by all means, but still somewhat acceptable. 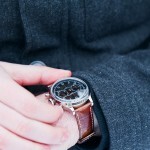 More resources about the Baume & Mercier Capeland Flyback Chronograph on Hodinkee, and ABTW. 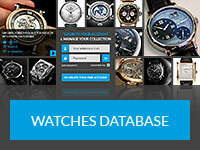 Or Check Directly the Official Baume & Mercier Website.